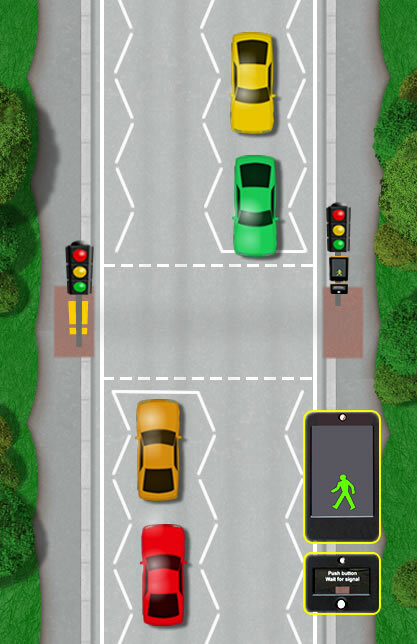 Whether you are new to driving in the UK or you are learning to drive, it is important to know how pedestrian crossing work from a drivers perspective, the different types of crossings and the guidelines on how to approach pedestrian crossings. 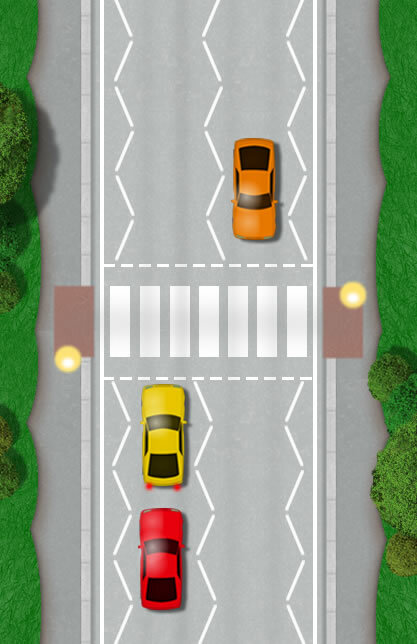 During the driving test, the driving test routes will certainly incorporate different types of pedestrian crossings. The driving examiners have strict regulations when it comes to pedestrian crossings and many tests are failed due to these. Knowing the correct rules, especially from a drivers perspective is essential if you wish to pass the UK practical driving test. Listed are the most common types of pedestrian crossing found on UK roads, many of which are likely to be encountered during the driving test. Each crossing type explains the rules and laws that must be followed as a driver approaching a each particular pedestrian crossing. The Zebra Crossing was initially introduced to UK roads in 1949. Originally, the Zebra Crossing was highly successful method to allow pedestrians to cross the road safely, although in recent years, drivers are more reluctant to slow down or stop for pedestrians waiting or crossing the Zebra. Although Zebra crossings are relatively cheap to install compared to the modern light controlled pedestrian crossings, they are gradually being phased out due to safety issues. Introduced on UK roads in 1969, the Pelican Crossing was the first successful light controlled pedestrian crossing. 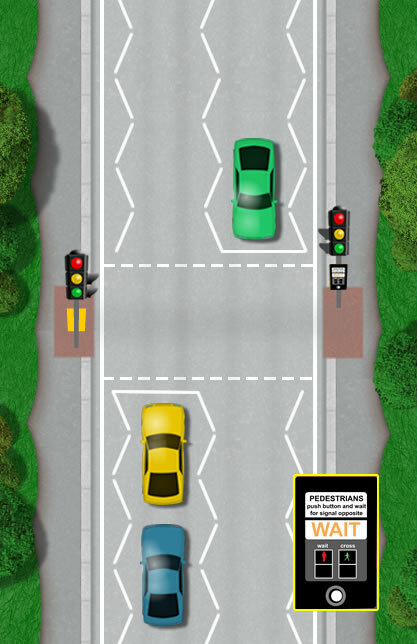 Still widely used today, the Pelican Crossing incorporates the flashing amber light which is a method used to keep waiting traffic times to a minimum. A flashing amber light on a Pelican Crossing permits drivers to proceed if the crossing is clear. Although this procedure allows for increased traffic flow, it can lead to confusion on the driver part resulting in a higher risk to the pedestrian. The Puffin Crossing introduced in the 90’s is technically the most advanced form of pedestrian crossing. Like the Pelican Crossing, the Puffin still requires a pedestrian to press a button for crossing the road. The differences between the Pelican and Puffin crossings are that Puffins detect pedestrians in the waiting area, but also whilst they are crossing the road. When no pedestrians detected by the sensors, the crossing automatically reverts to normal status to allow traffic to resume. 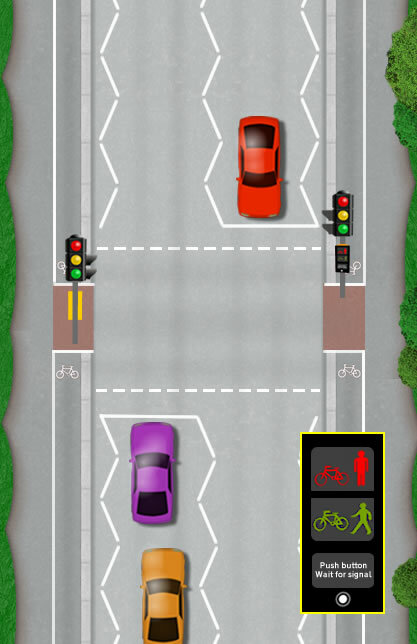 Toucan Crossings are designed for both pedestrians and cyclists to safely cross at the same time by the use of dedicated entrance, crossing and exit lanes for both cyclists and pedestrians. The Toucan is wider to accommodate both cyclists and pedestrians. They are often situated on busy roads in city or town centres where a high density of cyclists and pedestrians occur. As ‘two can’ cross at the same time, the name ‘Toucan’ was used to identify this type of crossing. 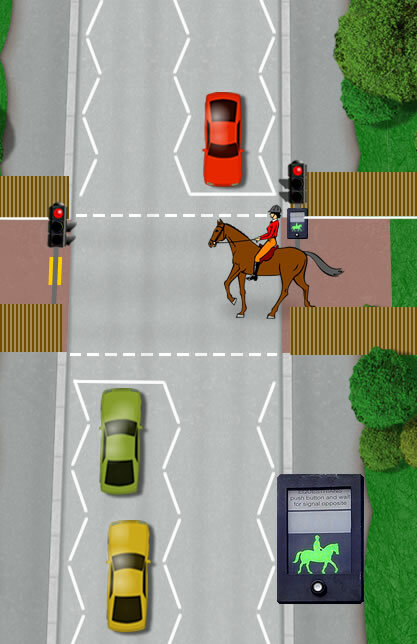 Pegasus Crossing or Equestrian Crossings as they are also referred to, permit pedestrians, dismounted horse riders and mounted riders to cross the road safely. Two control panels are in place, one in the normal position for pedestrians and the other at a height of two metres for mounted riders. Pegasus Crossings are often wide to accommodate pedestrians, dismounted riders with their horses and mounted riders. There are strict laws that prohibit stopping and waiting on white zig zag lines found along pedestrian crossings other than when forced to do so in traffic. The police can issue a fixed penalty notice where if endorsable will incur three penalty points and a fine. Many pedestrian crossings now come equipped with cameras to catch motorists disregarding rules that should be followed at all pedestrian crossings. See zigzag road markings for further information on parking procedures and penalties on yellow or white zigzag road markings.